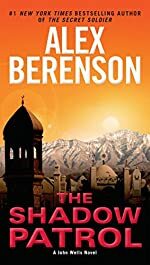 Synopsis (from the publisher): In 2009, the CIA's Kabul Station fell for a source who promised to lead it to Bin Laden, but instead he blew himself up, taking the station's most senior officers with him. Now, more than two years later, the station is still floundering, agents are dying, and at Langley the CIA's chiefs wonder if the unthinkable has happened, if somehow the Taliban has infiltrated the station. When they ask John Wells to investigate, he reluctantly agrees to return to the country where his career as an undercover operative began. But there, he finds a vipers' nest of hostility and mistrust-and clues that hint at a drug-trafficking operation involving the Agency, the military, and the Taliban. Americans are dying, and an American is responsible. And only John Wells stands in his way … for now.